A finely crafted, offbeat close-up coin effect that is simple to master. Introduce a small table and miraculously have three coins penetrate visibly through the little table. 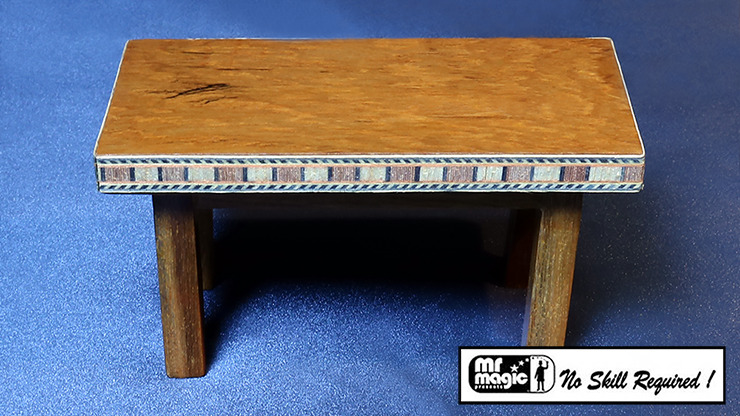 This is a reinvented gimmicked table from its original appearance in the book, Expert Coin Magic, created by David Roth. Darren asks: Is it chopped?